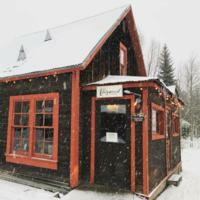 Details: Join us Wednesday, February 27th for Women's Networking Night (WNN) at the Dogwood Cocktail cabin in Crested Butte. Gather with old friends, meet new friends and make new business connections. Bringing the women of the Gunnison Valley together and uniting the communities. Women's Networking Nights (WNN) are held on the last Wednesday of each month. These Networking Nights are a way for the women of the Gunnison Valley to get out and meet other women in our area. We rotate locations between Crested Butte, Almont and Gunnison, Colorado. We are so pleased with how how successful our first two years of events has been. It is great getting to meet so many new people! We look forward to continuing to make new business connections, staying in touch with existing contacts and making new friends! Be sure to invite your friends and co-workers and help spread the word about this monthly networking opportunity and great group! We look forward to seeing you at future Women's Networking Nights! *Please RSVP so that we can kindly let our host know how many guests to expect.